“Trial by the Bay: Treasure Island and Segregation in the Navy’s Lake” (2017). 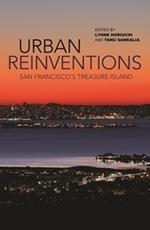 Urban Reinventions: San Francisco’s Treasure Island. Lynne Horiuchi and Tanu Sankalia, eds. Honolulu: University of Hawai’i Press: 125-139.